In the startup context at least, it seems to be fairly straightforward from the research we have available: lack of product / market fit. In other words, either nobody wanted the thing you built in the way you built it or you failed to find enough people who did. However in recent years, with the growth of agile transformation and larger corporates adopting startup principles, the idea of failure itself is now one that is largely embraced as a means of testing ideas quickly. Fail fast. Move fast and break things. These are the mantras of modern product teams. Whilst the benefits of a fail fast culture are that you can quickly test ideas and iterate, strategy involves the opposite of failing fast: patience, intuition and persistence. Agile and the fail fast culture prioritise failing as a means of learning as quickly as possible and moving onto the next experiment. It rewards failure – and actively encourages it as a mechanism to learn what works and what doesn’t. Not everyone is a fan. A tricky part of the fail fast approach is to recognise when your product has failed, why your product has failed – and what to do next as a result. 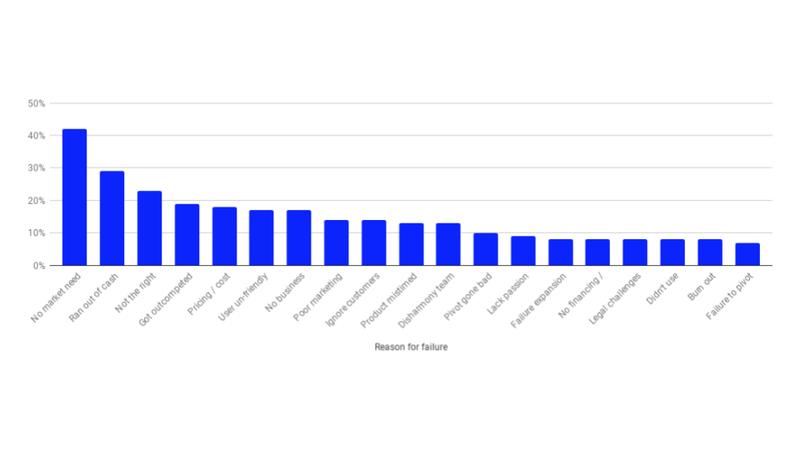 Let’s explore some of the reasons your product might fail so that you can embrace and avoid failure when building products. Building things that people want to use, in margin-enhancing, original ways is difficult. You may have an abundance of domain knowledge, plenty of life experience, a fantastic team, heaps of funding, a big market and still fail miserably. Building successful products can feel like DJing at an event where not only do you need to intuitively know which records to play but you also need to produce the record itself. You think your audience might like the next track and your intuition tells you it’ll be a hit with the crowd. Alanis Morissette hoped Under Rug Swept might match the success of Jagged Little Pill. Michael Jackson believed his status as King of Pop would be cemented with the release of 2001’s Invincible. Paris Hilton was convinced that her debut album Paris would turn her into a pop legend. Only once you’ve pressed play will you find out the truth. The process of finding product market fit is messy. You’re forced to rely on a bunch of intuitions, data, feedback and signals. Your interpretation of all of these factors is critical and can often contribute directly to the life or death of your product. This is true of products in both the startup context and in larger corporates too. On its path towards a billion dollar acquisition, Twitch started life as a camera strapped to its founder, Justin’s, chest in the belief that folks would find this interesting as a Truman Show style experiment. They didn’t. Only after endless iterations and creative interpretation of how users were interacting with Twitch did the team eventually come to understand that 1 segment of its audience liked 1 thing it did in particular – gaming. This shifted the team to double down its efforts on that. Without this blend of intuition, interpretation and evolution Twitch wouldn’t exist is a successful case study in product market fit. Yahoo! believed that the creation of a ‘digital magazines’ product would transform its declining digital advertising business by replicating the once successful model of the print industry and putting it online. The strategy seemed to make sense, playing on Yahoo!’s core strengths by leveraging its popular vertical destinations and packaging them up in a way that worked for both consumers and advertisers. It failed. 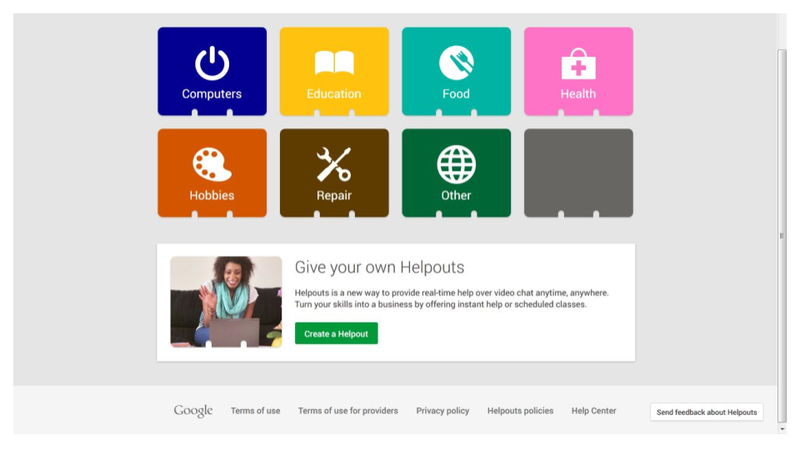 Google believed that consumers would want to use its Hangouts technology to pair up with experts and learn new things via Google Helpouts. That sounded like a great idea at the time when the sharing economy, fuelled by Airbnb and Uber, was gaining traction. It failed too. The path towards finding product market fit is littered with failure. So how exactly can you navigate your journey throughout this process? Product market fit is not a final destination. You won’t be woken up one bright Tuesday morning by a little bluebird landing on your shoulder, singing into your ear that today’s the day you’ve finally arrived. Rather, it is a messy process of cultivating your ability to both interpret relevant signals and filter out the irrelevant noise. Unexpected, positive physical action – if your users are reacting to your product in ways you hadn’t anticipated, this can be a signal that your product is resonating with an audience. Referrals and – perhaps surprisingly – suggestions on how to improve your product are often clear signs that you may have the beginnings of something interesting. An improvement suggestion is an indication of engagement. Monetization – not all products have monetization mechanics in the early stages but if your product is built on the assumption that someone will pay for it, ask them to do just that. If they do, this is a positive signal. Even if monetization isn’t something to focus on today, the underlying unit economics of your business must work in the long run. Growth – whilst executives and product teams alike can fool themselves into thinking there is a market for their product, your numbers are not immune to such biases. Seeing your numbers shift in the direction you want to be headed in is a strong sign you may be achieving product market fit. Polite lies – ‘Looks great, I can imagine someone will find that interesting – not me, though’ – listen carefully to customers who tell you how great your solution is but that it’s not quite for them. Ask them why. No monetization – no money, more problems. Throughout this process you’ll be bombarded with noise: stakeholders are peeved and wondering when they’re going to get their reporting tools, the niggling voice in your head tells you all your ideas are bad, the CEO has a list of things that need to be built, the infrastructure is on its last legs and will likely go down soon, your team hate you. Failure rewards those who succumb to this noise. Listening to your customers may have unintended negative consequences when you’re building products. Your assumption that your customers can always tell you what you need to build is a symptom of your lack of creativity and your fear of getting it wrong. It also acts as a safety net; if an experiment fails, you can always blame it on the customer feedback it’s based upon. However, one takeaway from Gallagher’s assessment is that you shouldn’t expect your customers to do the hard work for you. Your customers cannot be expected to make the decisions or generate the ideas that you and your team should. What exactly do we mean by ‘customers’, anyway? In the early stages, your customers are merely a group of people who you believe may benefit from using your product. Your notion of who your customers are is often based upon predefined limitations of the market – and these limitations are usually determined by your competition. Sony and Sega decided the gaming market was limited to young men in their teens and early twenties but Nintendo had other ideas. The downside to the over-reliance of listening to your customers is that you limit your feedback to those who already exist in your pre-defined market. Like the constellations of the stars, you are free to explore new dots to join. If you’re getting feedback from existing customers, try abandoning them temporarily and getting your product in front of noncustomers. This may lead to interesting epiphanies where you discover unexplored market segments. 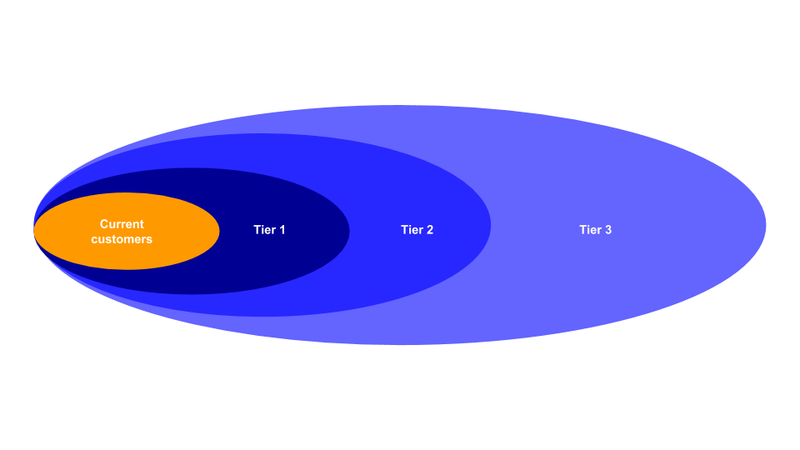 Tier 1 noncustomers – what customers are in your industry today but are not using your product? Why? Tier 2 noncustomers – what customers have thought about your offering or your industry but have outright rejected it? Why have they done this and are there ways to bring them back? Tier 3 noncustomers – what customers have never consciously thought about your offering or your competitors and might they consider your product? Listening to and acting upon customer feedback is an essential part of product development, but think twice before prioritising customer feedback at the expense of other inputs. Aim to balance customer feedback with your vision, goals, strategy and – crucially – the advice of your advisors. Almost immediately, it was clear the idea resonated. We couldn’t keep up with the growth. Customers were pouring in and shipments were pouring out. Our service took everything people disliked about shipping—from finding a box to waiting in line at the post office—and eliminated it. Based on the frequent, overjoyed feedback we received from customers, it felt like we’d accomplished the impossible: making shipping cool. Turns out people are passionate about how much they dislike shipping. Who knew? Then, things changed. Consumer growth slowed. People close to me and the business began to warn that chasing consumers was the wrong strategy. After all, how often do consumers ship things? I didn’t listen. Shyp’s customer feedback was positive. Customers loved the product. But customers couldn’t care less about the viability of the business. The market wasn’t big enough and the unit economics weren’t scalable. Soon enough, the perils of focusing too much on customer feedback at the expense of other factors started to become clearer. But it was too late. Just as becoming over-reliant on customer feedback is a shortcut to failure, extricating customers from the process of product development entirely often produces equally grim results. There is a plenty to be said for product visionaries who lock themselves up for 3 months and emerge with a winning product strategy. This is a rare skill set that usually combines a healthy mix of genius, tenacity and arrogance. 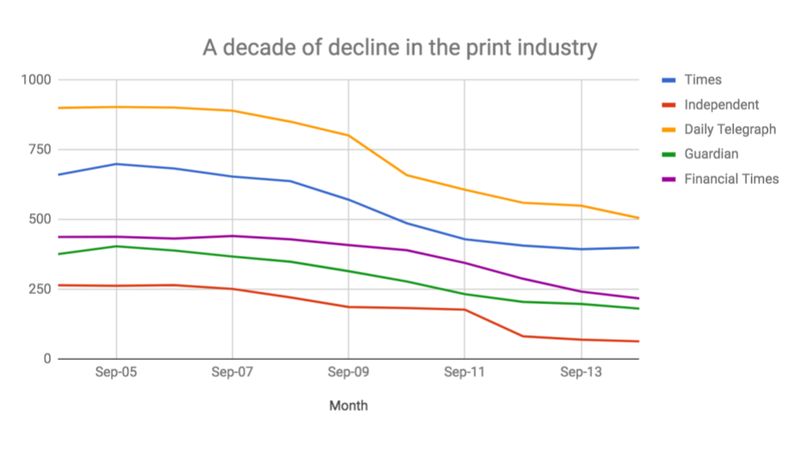 Tyler Brule decided that the print industry wasn’t dead after all when he launched Monocle magazine and defied his critics in the face of massive YOY declines in the print industry in 2007. If Brule had listened to customer feedback in 2007, he’d have built an iPhone app, not a print-first magazine business. However, even the greats sometimes have to recognise that your customers can can provide you with relevant nuggets of insight that propel your product forward. Products that kill pain won’t work unless you clearly understand the pain. Vitamins won’t work unless you understand the longer term pain of your customers. Candy is addiction created through desire. Desire can be crafted without reliance on feedback. Sure, your customers are in no position to tell you what to build, but listening to your customers will unlock new ways of providing value to them. It’s up to you to decide how relevant that feedback is, depending on the value you’re looking to create. Agile encourages short term iteration cycles but failure isn’t always something you achieve overnight. It can take a while to manifest. A lack of patience means cutting experiments short before you learn anything, launching several products targeting different market segments at the same time with no clear goals and chasing multiple metrics that contribute in no meaningful way to your objectives. A lack of patience means shifting between different priorities without analysing the results of your previous 12 experiments. Those who lack patience are addicted to the frivolity of busyness. At Netflix, the then VP of Product decided to formulate a strategy around several hypotheses. Social viewing was one, open APIs was another. The strategic bets were placed but the winners and losers weren’t known for a few years later. Sometimes, you have to dedicate the time and resources necessary to see how a strategic bet plays out over a longer period of time. Patience is easy when you have the resources to give yourself the time you need to test ideas fully by building products to trial with existing and new customers. If you have the resources, be patient. If you don’t, think carefully about which bets to place and the scope of the bets you place. Your engineering resources are precious and spending too much time developing fully-fledged versions of your product may mean you’re too late. Failure means nothing without vision and goals. If you have no clear direction in the first place you’ll have no idea whether you’ve failed or not. Defining upfront what failure – and success – looks like will give you the clarity to conclude whether what you’ve achieved so far is success or failure. The first iteration of your product doesn’t set the world alight. The metrics haven’t shifted within the first 2 months of launching your updated . Your NPS is languishing at 21. Does this mean you’ve failed? Only by defining what both success and failure looks like can you ever know. Reversible failures are short term blips in the road. There’s time to ideate solutions towards success. There’s money in the bank to hire new specialists with domain expertise. You know the root of the problem and you have time to solve it. Irreversible failures are fatal. You’ve run out of money. Your competition has crushed you. You’ve made too many decisions that can’t be undone. The failure has metastasized and there’s nothing you can do about it. Learning to tell the difference between these 2 is difficult. It may sound a little perverse, but failure feels good. Once you’ve achieved failure, it becomes a certainty. Humans crave certainty. Failure feels much better than the never-ending, ambiguous slog of keeping products alive and continuously evolving without the certainty of knowing how it will all end. Living in a state of ambiguity is painful. Failure feels better. If you find yourself in a position where you’re attracted to the lure of certainty that failure provides, consider the underlying motives behind it. Why do you want to fail? Perhaps you were forced to work on a product or team you didn’t want to. Or you didn’t believe in the overall strategy that you played no part in crafting. You were handed a list from the CEO of all the things that needed to be built in the next 6 months. You were too tired to bother arguing with a loud stakeholder who wanted their way in your board meeting you caved in and decided it was best to proceed. You wanted to fail because you wanted prove that you were right all along. Interpret signals – you often won’t know whether you’ve achieved product / market fit. Instead, practice your ability to interpret signals. Value – understand the type of value your product creates and weigh customer feedback accordingly. If your product is designed to solve a problem, dig deep into the problem to understand it deeply. Recognise the limitations of feedback – embrace customer feedback but know that customers can’t tell you what to build. That’s up to you and your team. Avoiding failure entirely is not only impossible when building products, it is undesirable. However, all product teams want to create successful products. Ironically, one of the key factors in determining its success may be how successful you are in managing failure.